Look Back in Mild Bewilderment: Who You Going to Call ? Who You Going to Call ? Track back or die, okay? Stoke City and West Brom two similar clubs were promoted from the Championship in 2008. Albion were managed by Tony Mowbray and Stoke City by Tony Pulis. It was Cavaliers v Roundheads. Mowbray's side was a fluent passing team which won plaudits for the style of football as they swept to the title. Stoke on the other hand were dogged, hard working and played rugged no nonsense percentage football. Many people thought the Albion were better prepared for life in the Premier League, alas that was not the case. Mowbray's team carried on getting plaudits for playing the right way but never the less finished rock bottom the following season. Stoke unencumbered by any notion of the beautiful game and often criticised for their robust approach stayed up comfortably. One - nil to the Roundheads. Mowbray's departure in May 2009 (not sacked despite his side being relegated) marked the end of the Baggies Cavalier phase each management appointment since was a little bit more pragmatic than the last (Pepe Mel aside). The free flowing football was quietly ditched for something a little bit more solid and less expansive particularly under Hodgson. but the football was never as industrial as that served up by Pulis's Stoke sides. Less than seven years on the chief Roundhead is about to take charge of the one time Cavaliers, which is a bit of a turn up for books. The fact that he has been invited to take the reigns is a reflection of how high his stock is following his transformation of Palace last season from relegation certainties to a team that looked entirely at home in a mid-table berth. To some extent his reputation has been further enhanced by the fact that Palace have regressed this season which makes him look even more like the Red Adair of the Premier League. Equally the fact the board seems to be prepared to push the boat out financially and compromise on coaching appointments is a reflection on how the team has lost it's way recently and needs a strong personality to take it by the neck and give it a shake. 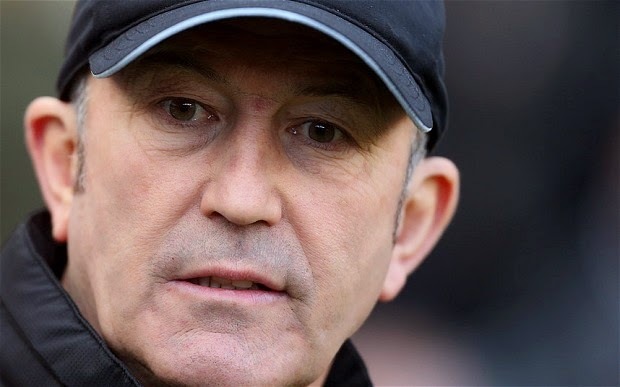 The moment seems right for Pulis to come in fight the fires and steady the ship. Longer term I am not sure that it is a marriage made in heaven. I personally still hanker after the Cavalier days of Mowbray. Swansea and Southampton have both shown that smaller clubs can thrive in the Premier League without resorting to hoofball, although both of those clubs laid down their blueprints while they were in the lower leagues and not burdened by the annual war of attrition to stay in the Premier League. Although the other leader of the Roundhead tendency Sam Allardyce has shown that given the players even he can move to a style that is a little easier on the eye. So maybe Pulisball will evolve into something a little bit less industrial there were signs that happened at Palace but let's not kid ourselves you would never of mistaken his Palace side for Brazil. I am under no illusion that just staying in the Premier League is an achievement and 5 straight years in the top flight is not be sniffed at and if we want a sixth appointing Pulis is entirely logical, but I feel it is surrendering any hope that the quality of our football will evolve or that the youngsters in our academy will be given a chance of breaking into the first team squad. For the club to grow that needs to happen, to get beyond the annual war of attrition to stay in the league we have to be bold. Unfortunately the Pulis appointment is the opposite and while we cling onto the hard won Premier League status maybe we are right to be cautious and maybe only when that battle is lost will we be able to properly regroup and rebuild under a regime that brings the Cavalier spirit back.